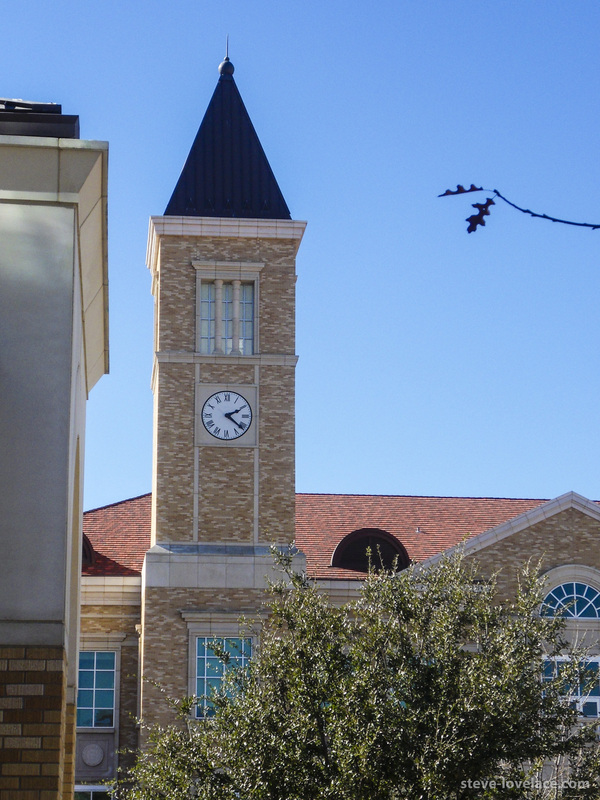 Texas Christian University (TCU) is a Big 12 University in Fort Worth, Texas. 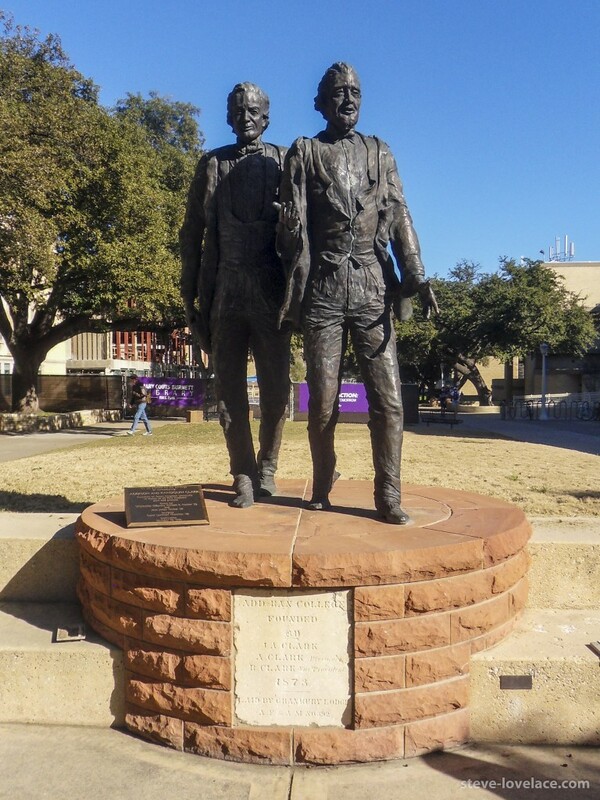 I’ve driven by the TCU campus several times over the years, but never had a chance to stop. So one sunny winter day, I drove out there to check it out. 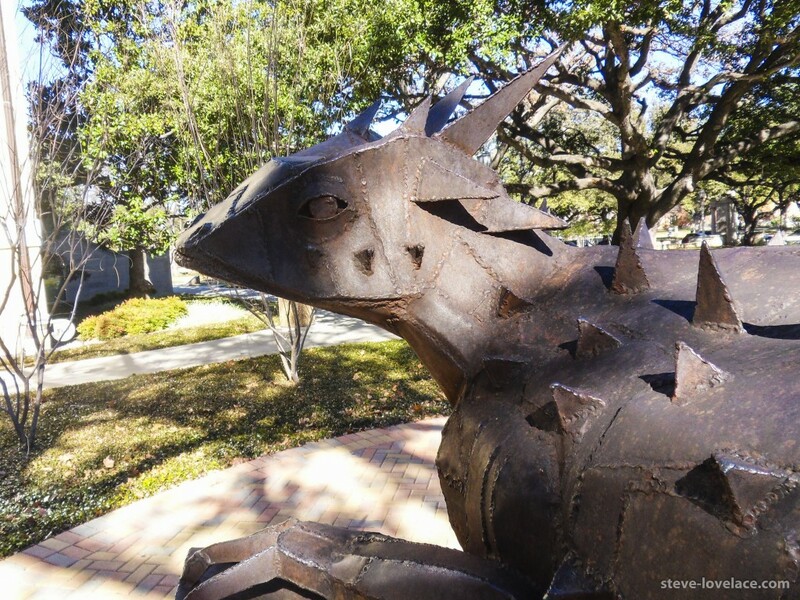 A metal sculpture of a Horned Frog. 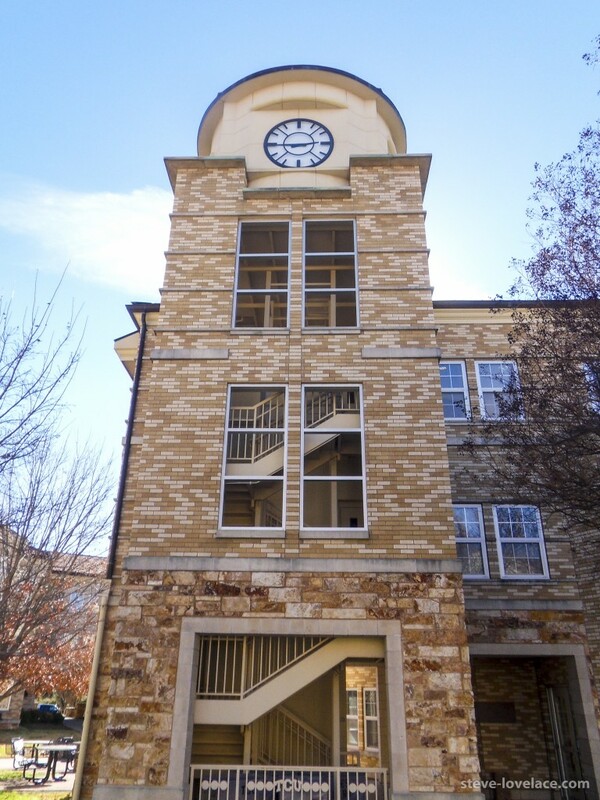 Campuses need clock towers, though this one is just a few years old. 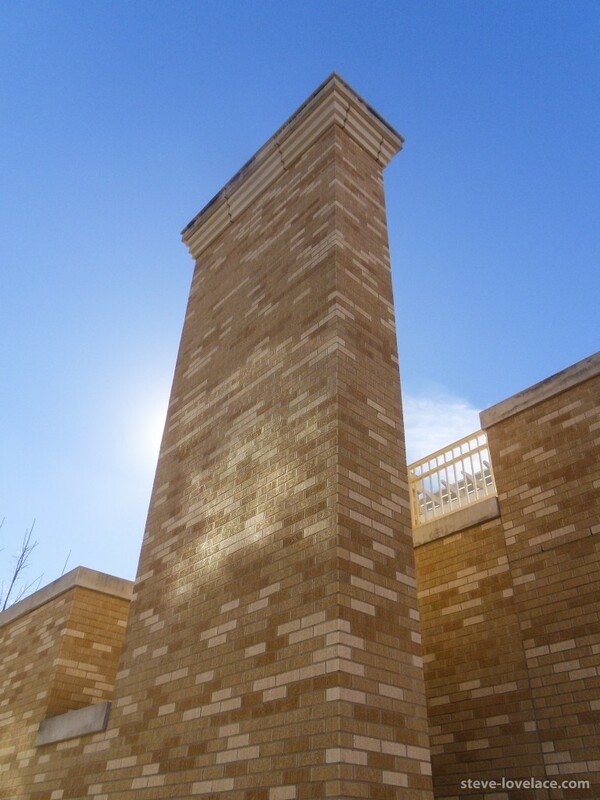 This chimney shows of the buff brick quite well. 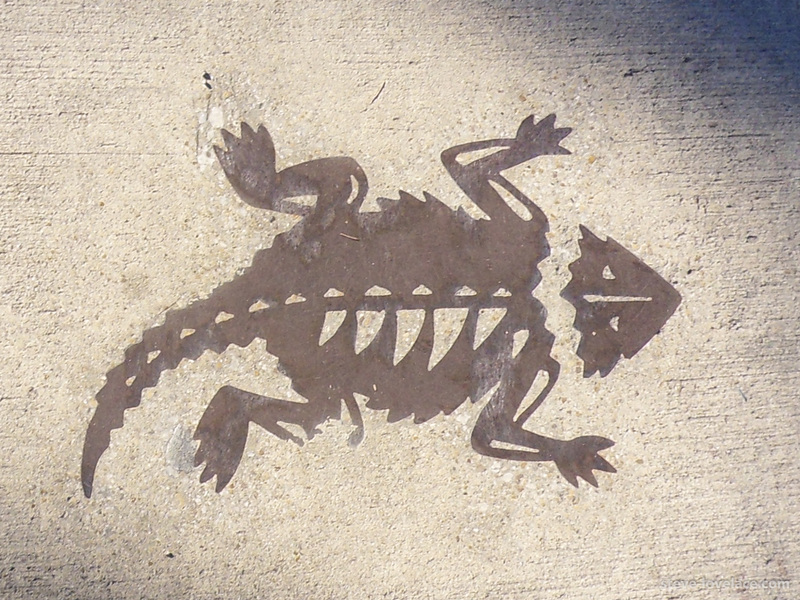 Another Horned Frog, embedded in the sidewalk. 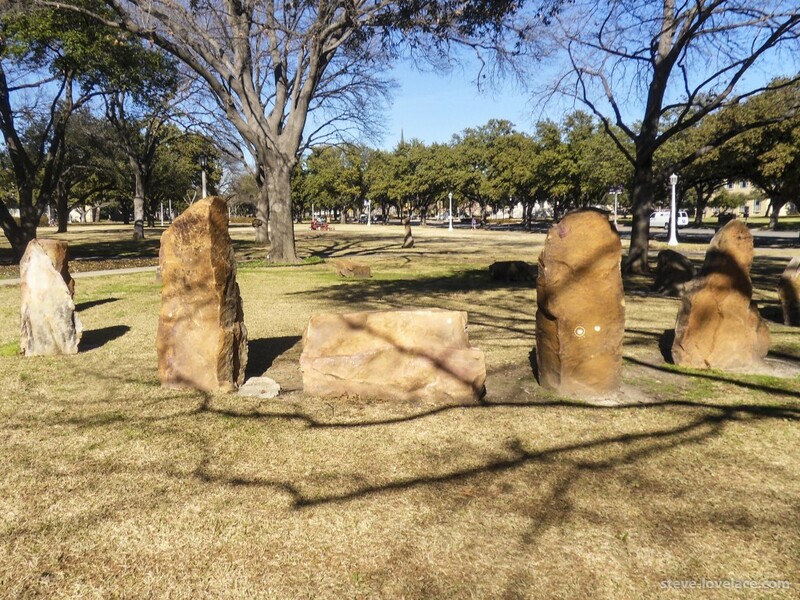 This arrangement of stones is called Froghenge. My alma mater, Michigan State University (MSU), has a very beautiful campus, and I judge other universities by MSU’s standards. 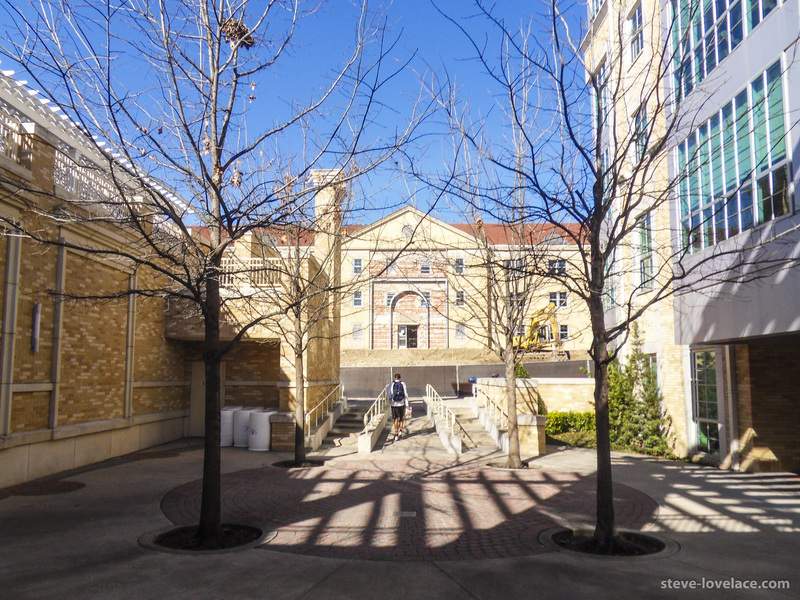 The TCU campus is very different from that of MSU, as well as the campus of my sister’s alma mater, the University of Texas at Dallas (UTD). MSU’s campus is dominated by ivy-covered Neo-Gothic red brick buildings on the north side of campus, and International Style architecture on the south side of campus, also incorporating red brick and ivy. 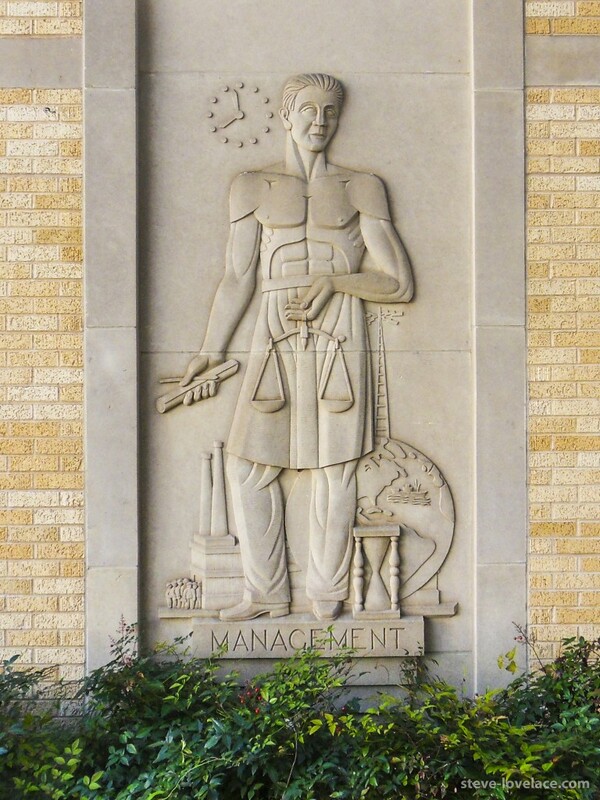 This reflects MSU’s status as a 160-year-old agriculture school that expanded dramatically after World War II. On the other hand, UT Dallas’ mix of Brutalist and Postmodern architecture reflects its status as an engineering school that has exploded in size in just the last few years. 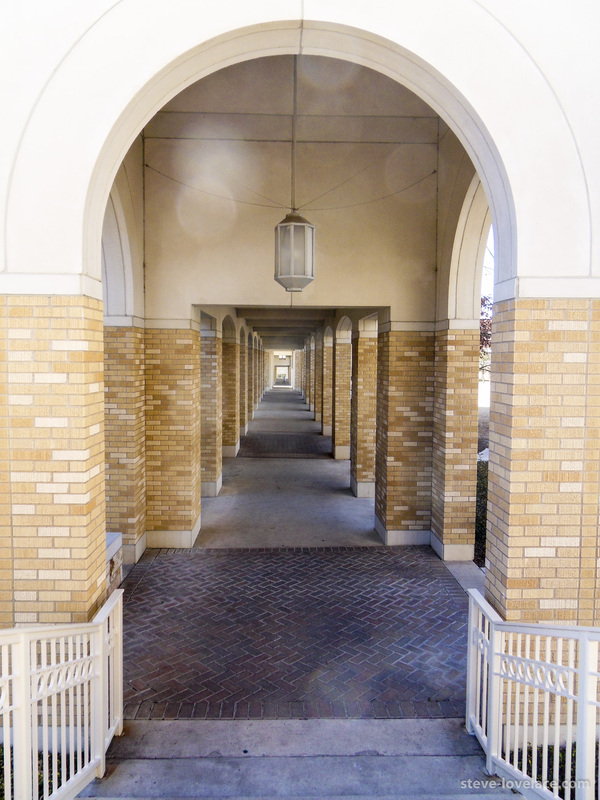 The architecture of the TCU campus falls in between the two extremes of UTD’s Brutalism and MSU’s Collegiate Gothicism. 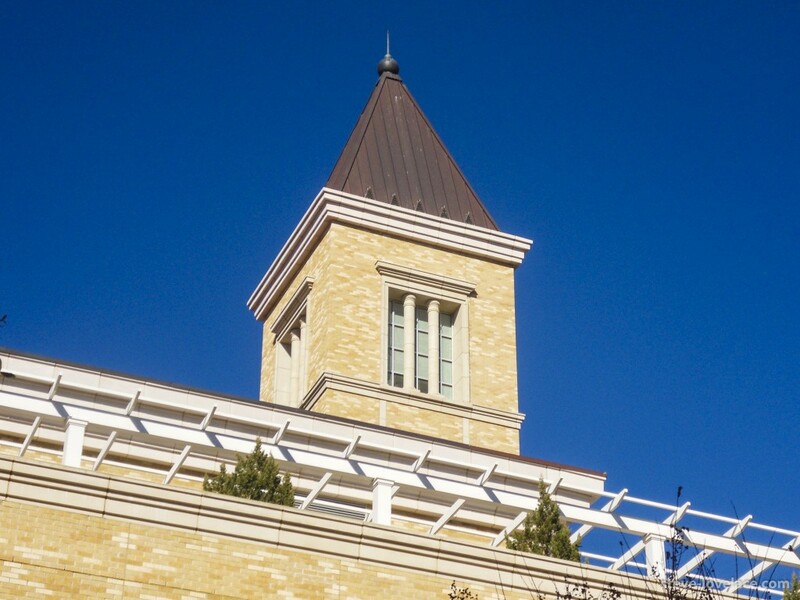 Most of the buildings at TCU are clad in buff brick, rather than red brick, and are roofed with red terra cotta tiles instead of slate or fiberglass shingle. The buildings themselves are mostly a mix of Beaux-Arts and Art Deco. And though much of the campus is new, there are few Modern or Postmodern buildings. The relative lack of Modern and Postmodern buildings reflect a 21st century building boom that leans heavily on the tried and true architecture styles of the New Urbanism. 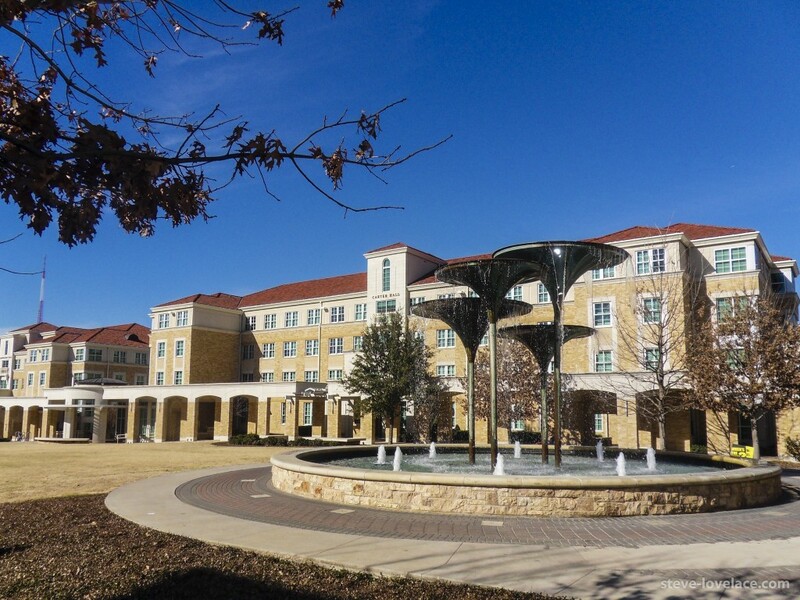 This serves as an interesting contrast to UTD, which like TCU, has expanded greatly in the last decade. 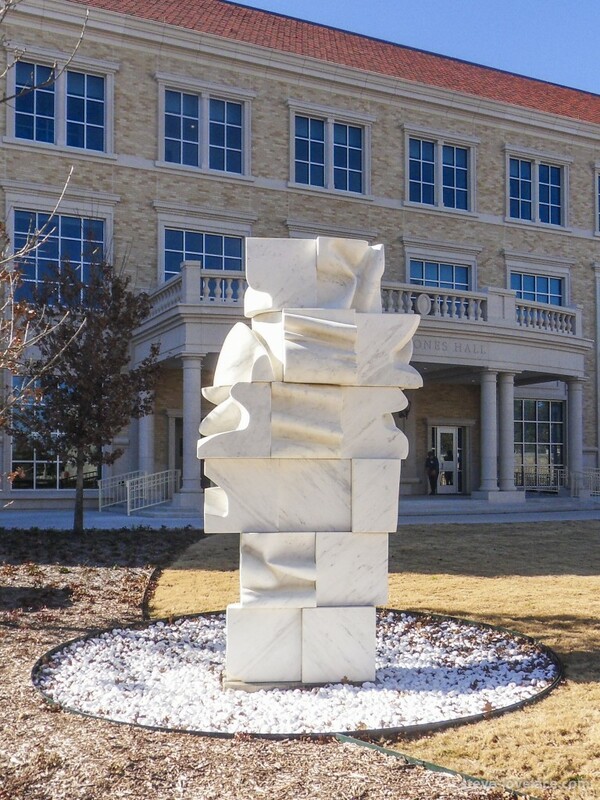 They are both fairly prestigious universities in the DFW Metroplex, but UTD has a strong science and engineering focus while TCU grew out of a more Liberal Arts-oriented college. 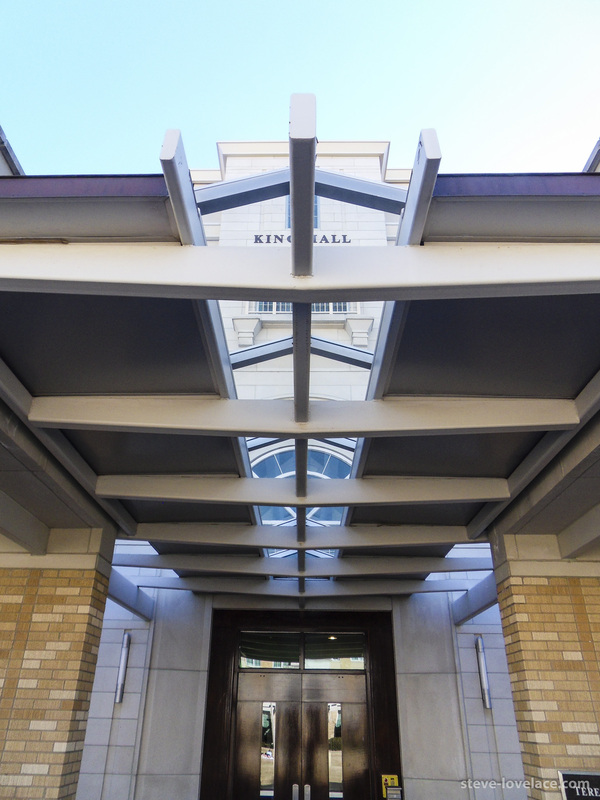 This accounts for the great difference in the architecture of the UTD and TCU campuses. 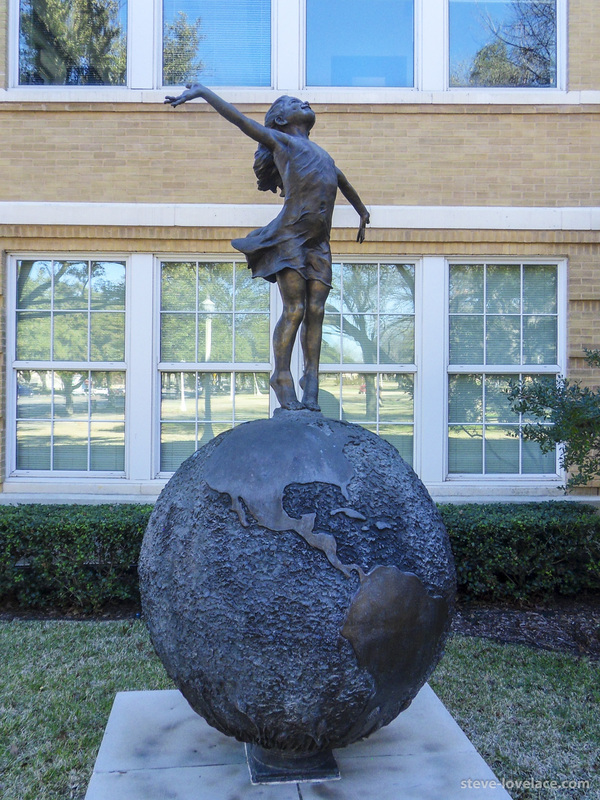 Have you been to Texas Christian University’s campus? How about UTD’s? If so, let me know what you think in the comments.